For this week I thought I’d do a post on a selection of things you can do across Leicester City, all easily accessible through public transport. This definitely isn’t exhaustive as there is always something going on, whether it be a festival or something new opening up – but it is a good starting point in exploring what the city has to offer! 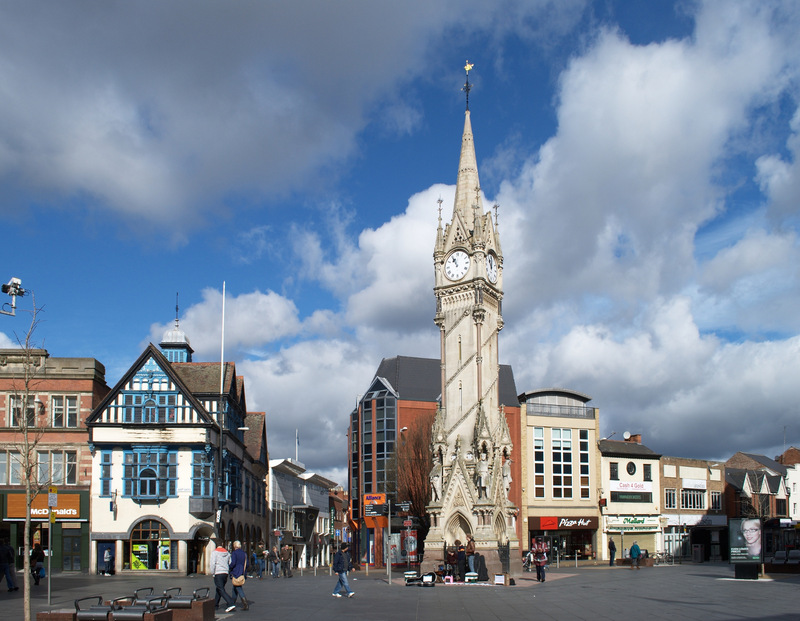 Shopping: Leicester has a range of places to shop at, due to its vast social and cultural diversity. 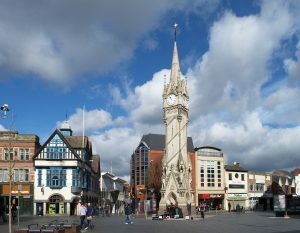 The main shopping locations in the city centre are the Highcross and Haymarket shopping centres, though there are also several independent shopping destinations such as St Martin Square and the Lanes. There’s also the famous Leicester Market, the largest outdoor market in Europe, which has an array of stalls, mainly consisting of fresh fruit and veg which tastes great and is much cheaper than many supermarkets! Alongside this, there is the ‘Golden Mile’ in Leicester, known for it’s largest concentration outside of India of traditional South-Asian food and boutiques. Food: Leicester is certainly not short of aesthetic cafes, restaurants and a range of dessert places scattered across the city, many of which are independently owned. Some of my faves include Mrs Bridges Tea Rooms, St Martin’s Coffee, Norah’s Café, Creams Gelato, Fudge Puppy, and Saints of Mokha. There are of course many, many more to choose from throughout the city and owing to Leicester’s huge cultural diversity, you can be sure to find the best of foods from all over the world! This could really be a post on it’s own! Museums: The city has a rich heritage of culture and industry, which can be explored in a range of different museums such as the New Walk Museum, which has an incredible collection of dinosaur fossils and Egyptian mummies. The museum often interchanges it’s exhibitions, so there’s always something interesting to see! There is also the Richard III visit centre, which exhibits the King’s life, whose remains were discovered under a car park within the city. Furthermore, there is the famous National Space Centre which has incredible galleries and the UK’s largest domed planetarium. Parks/Gardens: Perfect for a summer stroll or picnic to take a break from life, there are many parks throughout Leicester such as Victoria and Abbey park, through which the River Soar flows. Look out for Billy Bates, Leicester’s own funfair which is often based at one of these parks during the holiday period (it is currently running throughout summer at Abbey Park). There is also Bradgate Park in Leicestershire, known for it’s views and historical ruins and of course there is also the beautiful botanical gardens in Oadby, owned by the University of Leicester. Cinema/Theatre: The main cinema locations in Leicester are the Showcase and Phoenix cinemas. There is also the Piccadilly Cinema in Evington which additionally airs Bollywood movies if you’re looking for something different! There is also the Curve Theatre or DeMonfort Hall if you’d like to watch a live performance – all great options. Let me know in the comments below some of your favourite places in the city!